YOU ARE HERE: Home » Topics » Intermarriage » Intermarriage: Is It Good Or Bad For The Jews? The reactions to Prof. Jack Wertheimer’s article in Mosaic about a month ago and to the Pew Report on American Jews reveal that (surprise!) the Jews do not all agree on this (or any other) matter. For some, it is a sign of the acceptance of Jews into American society and is to be celebrated. For others, there is a culture of resignation and helplessness, well described in Prof. Wertheimer’s article. As he wrote, there is a feeling of “I married Jewish, and being Jewish is important to me, but my kids might not,” which runs across denominational lines. 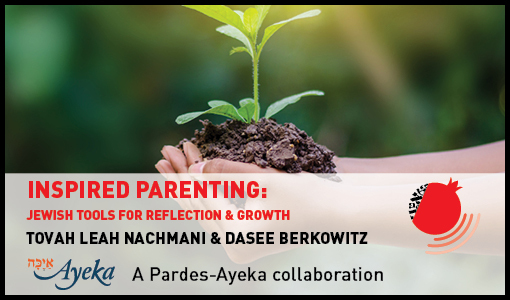 While as a community, the proverbial horse seems to have already left the barn, and closing the door will do little good, this piece is aimed at those who want their grandchildren to grow up in a Jewish home with two Jewish parents. In my high school years in the late 1960′s, in a suburb of New York, I belonged to USY. In those days, we had many discussions about “interdating.” It was clear where the rabbi, youth director, youth leaders, and the movement (Conservative) stood. The rabbi could speak from the pulpit on the subject. Forty-five years later, my sense is that most rabbis would have trouble speaking out. That is completely understandable: in many settings – where a significant percentage of the congregation has intermarried, or have children who have intermarried, or are themselves products of intermarriage – there is a fear of offending. As some of the responses to Prof. Wertheimer indicate, there is also a fear of sounding racist. In short, speaking out against intermarriage in much of the non-Orthodox American Jewish world has become politically incorrect. True, it is too late for too many people. Still, open discussion can make those of us committed to Jewish endogamy feel more comfortable. Perhaps it can give us both the language and some practical suggestions to help us along the way. A minority culture’s right to exist is something we would all agree on. But there is an important corollary: a minority culture has a right to want to continue to exist. Without endogamy, Jewish religious and cultural life is much less likely to be carried on to the next generations (see Prof. Wertheimer’s article for the statistics). Rabbi Jonathan Sacks in The Dignity of Difference makes another compelling case, beyond our own particular Jewish interests: minority cultures/ religions enrich the world. At this moment in history, global cultural homogenization threatens to destroy small minority group culture. This is not good for a world that wants to celebrate meaningful diversity. It doesn’t matter whether you are concerned with Jewish religious continuity, or want to see your grandchildren as secular cultural Jews. Intermarriage greatly reduces the likelihood that either of these will happen. What are the chances of the child of an intermarriage knowing a Jewish language, e.g. Hebrew or Yiddish? What are the chances of the child of an intermarriage caring deeply about Israel? Caring about other Jews in the world? Statistics show that chances are slim if a child grows up in a home where only one parent is Jewish (see Prof. Wertheimer and other studies). Needless to say, the same is true of religious practice, e.g. creating a meaningful Shabbat in the home. Likelihood does not mean that there are no exceptions. At Pardes, we welcome students who are products of intermarriage, and many of them end up as enthusiastic, committed, practicing Jews – but I am reminded that we are seeing a very small minority of the products of intermarriage, the exceptions to the rule. 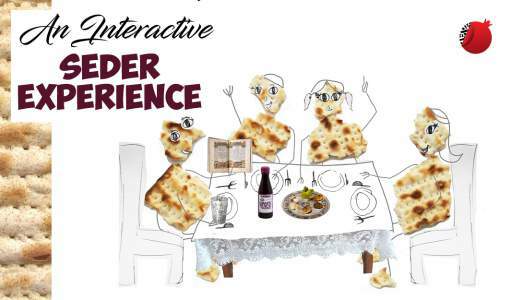 In the macro, for communal policy-makers, much has been written, and it is not my intention to focus on the usual refrain: supporting immersive Jewish educational experiences, e.g. day school, Pardes, Hadar, content-rich Jewish summer camps, and trips to Israel. But what about the micro? What about the family? There are many fine, committed Jews, even philanthropists, who support the macro but have trouble with the micro, meaning their own children and grandchildren. What to do? I humbly offer a few suggestions, in the hope that others will write and suggest many others. While there is no silver bullet, these might increase the likelihood of having Jewish grandchildren. First, and most important: families concerned that their progeny remain Jewish must not only support immersive, content-rich Jewish educational experiences, but also must ensure that their own children and grandchildren participate in them. Second: as Prof. Steven Cohen once said to me, do your best to insure that your children attend colleges with large Jewish student populations. It sounds a bit ridiculous, but we all know that people often (usually?) fall in love with people they are in close proximity to. While there are no guarantees (for anyone or for any of these suggestions), it does increase the likelihood of meeting a Jewish mate. As parents usually foot the bill for college tuition, they should feel empowered to have a say in such a decision. 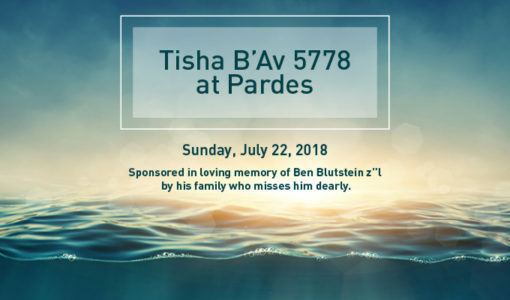 They are sending a very clear message to their children: while we will not cut you off, or sit shiva for you, we very strongly disapprove, and you will pay both a material and emotional price for marrying out. By telling them about the will, they are letting them know their strong feelings, as well as opening the possibility of discussion. The idea of this will is to allow for the conversion of a non-Jewish boyfriend or girlfriend, according to one’s own denominational (or other) preference, subject to the approval of their rabbi. (A secular Jewish family could instead choose a non-rabbinic Jewish leader they respect.) Encouraging conversion, according to one’s values, is definitely a part of this plan. I am sure many will not find this approach to their liking, but more than anything else, this might be a way to signal a clear message to one’s children or grandchildren, and might make a child think twice about serious romantic involvement with a non-Jew, or about the importance of having that person convert in order to build a two-parent Jewish home. There are alternative possibilities: earmarking money in your will for day school education, or content-rich Jewish summer camp, or educational trips to Israel. Beyond that, one could also consider additional monies as an inducement to those children who will invest in the values of their parents, to insure that their progeny remain Jewish. The key is not to keep such things secret, but to discuss them openly with one’s children – and not to wait until it is too late. There was a time in American Jewish history when those “marrying out” were usually rebelling, people angry with their parents and their community. Today, it is much more commonplace than that: many children who love and respect their parents simply fall in love. Knowing that their parents disapprove strongly, and that they might pay a material as well as an emotional price, can, in some cases, be a deterrent to their marrying outside the faith, or encouraging conversion of the spouse-to-be. Hopefully, this article will spark more discussion – both online and offline – with other practical suggestions that could be helpful to those who care deeply about the Jewishness of their own descendants.